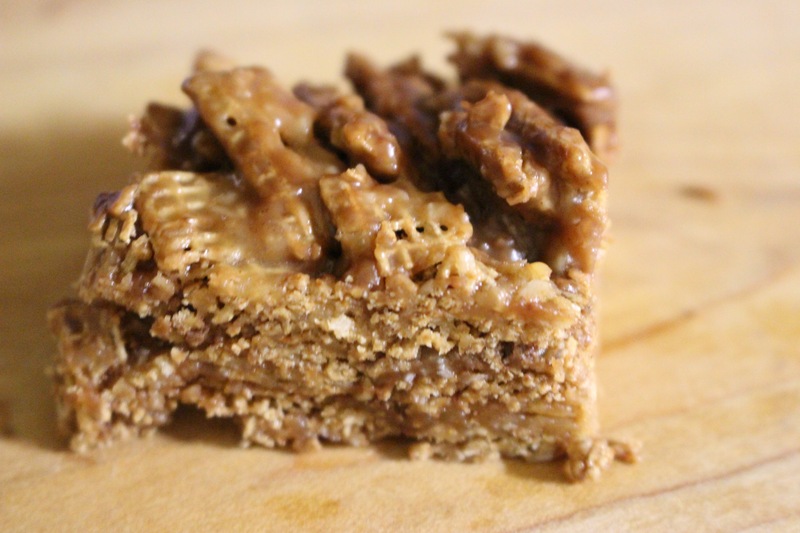 These are a pretty good homemade cereal bar for a morning snack and would be great to take hiking or biking for when you need a little something. I am not sure that my flavour combination went together well, but it was what I had on hand. They didn’t look too pretty either since I did have a little problem cutting them, mainly because I couldn’t wait long enough for them to cool properly before cutting to have a taste. I will make them again and be more patient next time. 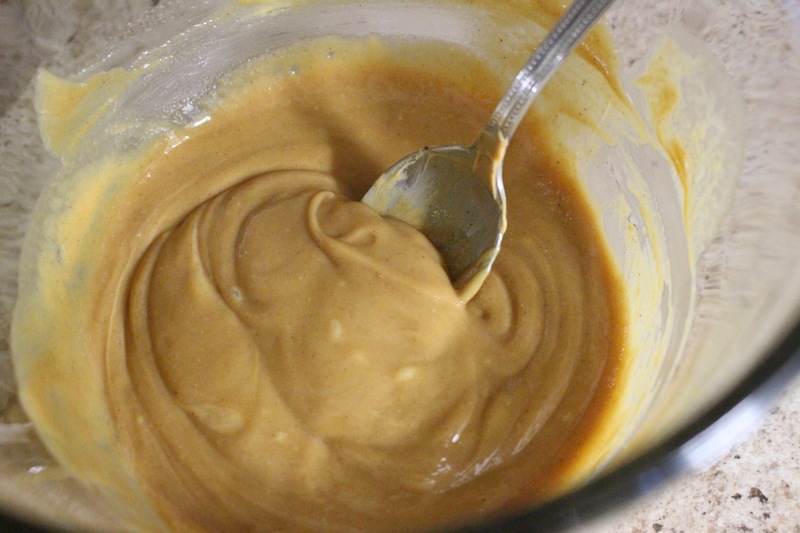 Microwave about 1/2 to 3/4 cup (I used a little more than 1/2 cup) corn syrup (light or dark, I used dark because that is all I had) with 3/4 cup peanut butter (I used Kraft smooth variety) for 1-2 minutes on high. 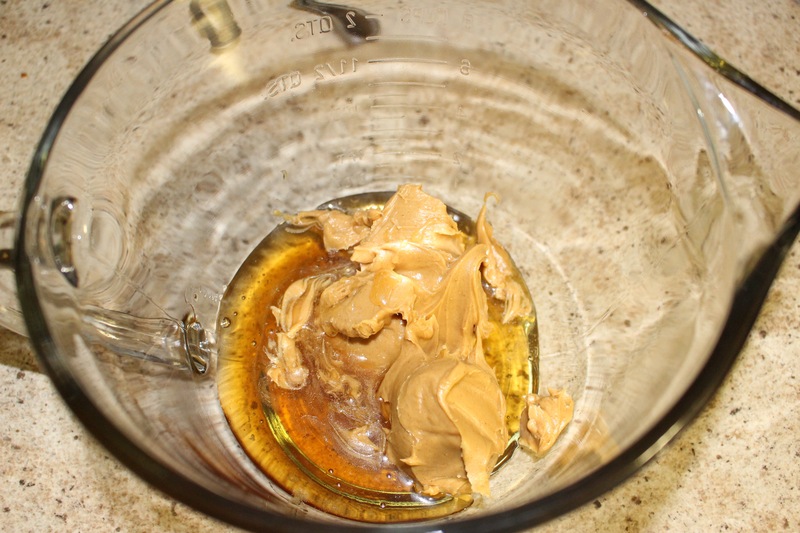 Stir well until all melted and blended. For the mix-ins I used a small Lindt dark chocolate and orange chocolate bar broken up along with 1/4 cup dried cranberries and 1/4 cup fine shredded unsweetened coconut. Mixed that all in together with about 3 cups of Shreddies cereal. Note: wait until PB mixture has cooled a little so it doesn’t melt the chocolate, mine pretty much melted. Chocolate chips probably wouldn’t have melted, next time I will make sure I have some to use. Press into an 8″ square pan, that has been sprayed with cooking spray, and let cool until solid and then cur into squares or bars. 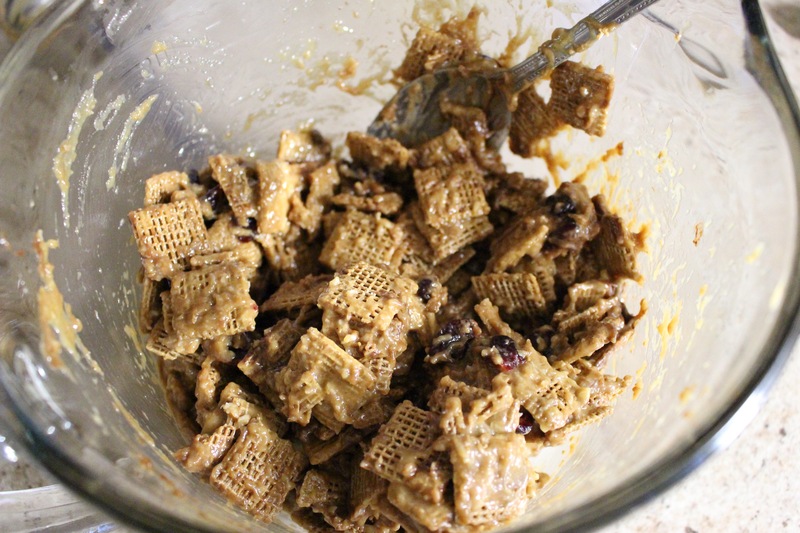 Next time I make these I am going to try out some different mix-ins, I am not very fond of dried cranberries. I think salted peanuts and chocolate chips would be tasty. I will have to play around with the ingredients a little, I will let you know how it turns out! 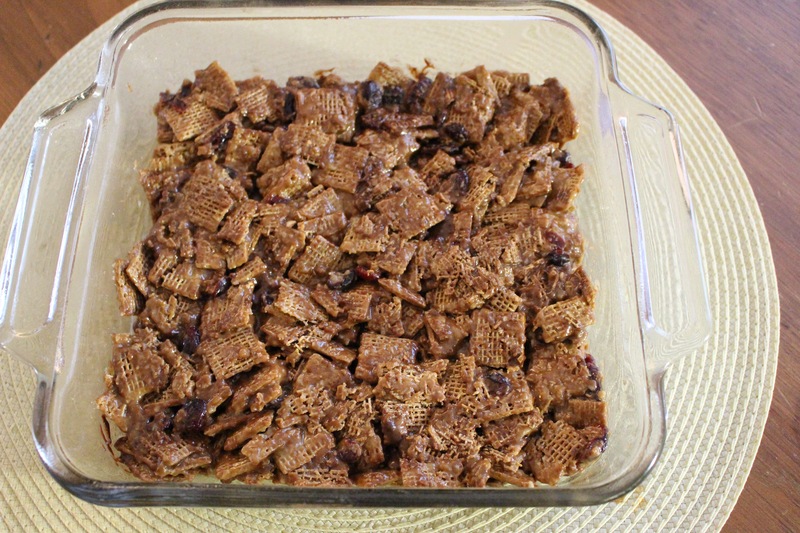 This entry was posted in baking and tagged cereal bars, chocolate, coconut, dried cranberries, homemade cereal bars, no-bake, peanut butter, Shreddies.